Mainz - 1. FSV Mainz 05 midfielder and Germany's latest recruit Nicolai Müller can do no wrong at present. After bagging his fourth goal of the campaign to seal a 2-0 win over VfL Wolfsburg on Saturday, the 25-year-old took time out to shed some light on his and the 05ers' fine run of form. Question: Herr Müller, four goals in three games, how do you explain this goalscoring run? Nicolai Müller: At the moment, I don’t have to think much when I shoot. I’m just hitting the ball really well and I’m enjoying the moment, being here in one of the strongest leagues in the world. I needed four attempts today, but I never let my head drop. Question: What was decisive in the win over Wolfsburg? Müller: We defended very well and were very compact. After half an hour, we got back into the game better. At half time, we changed things around a bit and managed to get them under control. Also key to the win was the red card for Luiz Gustavo. Question: Mainz are now alongside Dortmund, Leverkusen and Bayern Munich in having won all three games of the season so far. How do you rate this start to the campaign? Müller: Mainz 05 are not a club who can simply presume that they will have nine points after just three games. We’re very stable, but so far this season, we’ve always managed to take the lead. Let’s just see how we deal with going behind in a game. 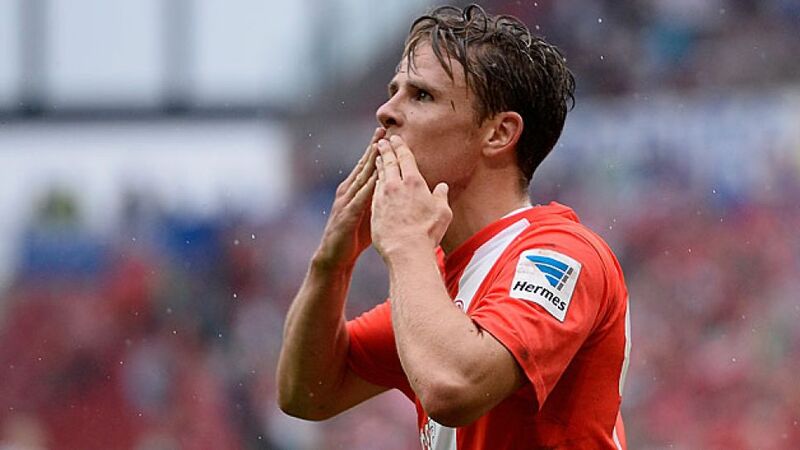 Question: Three years ago, Mainz set a new record with seven wins at the start of the season. Are you trying to better that? Müller: We’ve got three wins, that’s all. We’ve got to keep our feet on the ground, that does us good. Question: You’ve now been called up to the national team. What does that mean for you? Müller: I just love being able to train with some of the best players in the world.